Tater Du dates from 1965 and, as such, I believe it is the newest English lighthouse of which I currently have a photograph. 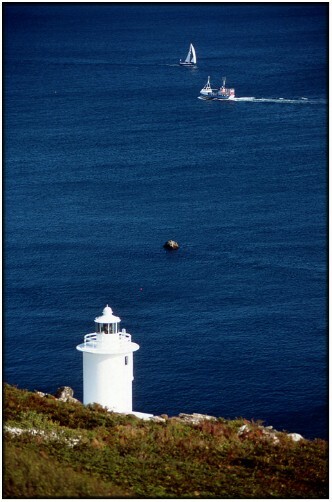 It marks a local hazard to shipping known as the Runnelstone Rocks (the tip of which is just visible in the photograph above). These rocks had been marked for a hundred years or more by a buoy and the twin day marks on Gwenap Head, but the impetus to construct a lighthouse was provided in 1963 by the loss fo the Spanish ship Juan Ferrar with the loss of eleven lives. 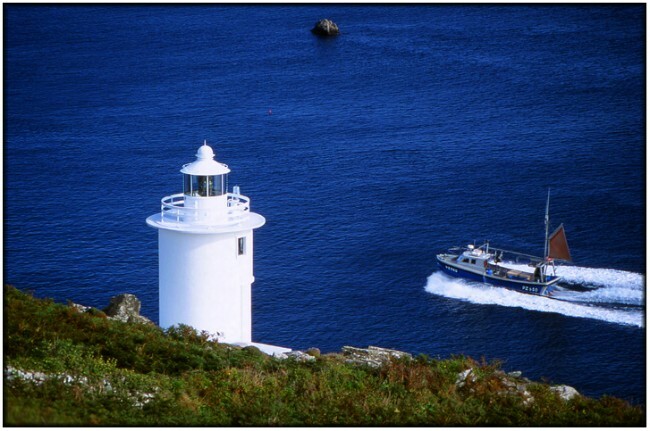 The lighthouse was constructed to the design of Michael H Crisp and was first lit in 1965 - it was designed from the outset as a fully automatic light and has been unmanned since entering service. The name "tater du" comes from the old Cornish language (Kernowek) and means "black rock" - I have to confess to some minor disappointment at discovering the meaning because, from my limited knowledge of Gaelic (that shares common linguistic roots with Cornish), I knew that "du" would mean black, but I had kind of hoped that "tater" might translate as "potato"; "The black potato" would be a seriously cool name for a lighthouse. The road to the lighthouse is not open to the public but, in any case, it is no more than a farm track for much of its length and would probably be accessible only by off-road vehicles. 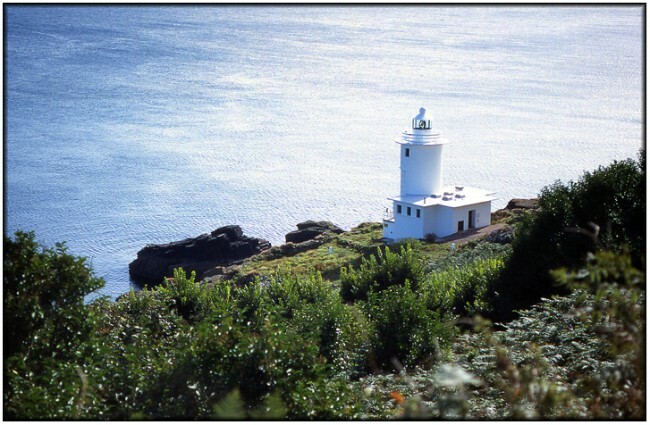 However, the walk to the lighthouse from Lamorna Cove along the South West Coastal Path is very pleasant (in good weather) and not too taxing. The light around the middle of the day is likely to be a little unfriendly given the south facing aspect of the view - however, although the terrain is fairly rough, it is possible to view the light from a variety of angles so a suitable viewpoint shouldn't be too hard to find at any time of the day. Below are a couple of panoramic shots of the lighthouse from different angles.